A stylish and unique wine glass perfect for your favourite brand of Sauvignon Blanc, Rioja, Merlot or boozy drink of choice, we think that you will love this gorgeous kitchen and bar essential! A smoked grey glass featuring a conical stem and white bird engraving this lovely piece will look gorgeous displayed in your glass cabinets or open shelving units. The Grey Smoked Engraved Bird Wine Glass measures 12cm in height x 7.5cm in diameter. Beautiful glassware is one of life’s simple pleasures that will make you smile every time you see or drink from it. 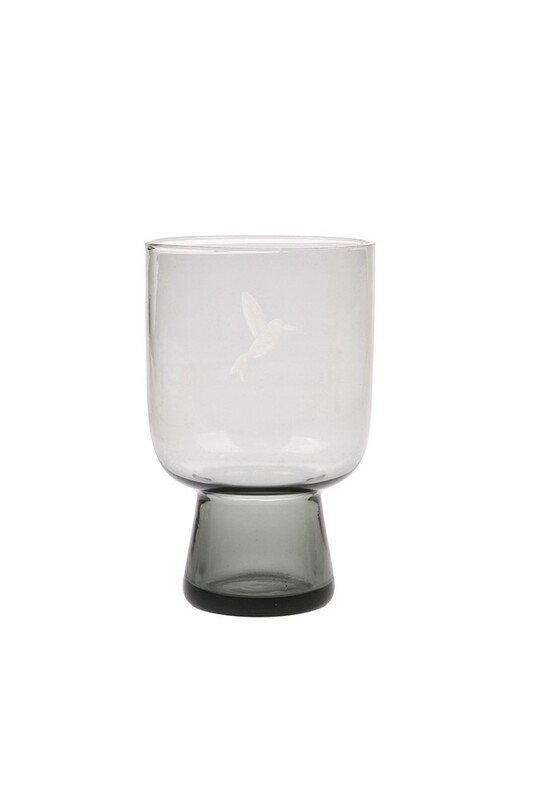 The Conical Stem Smoked Grey Engraved Bird Wine Glass is exactly one of those pieces! A beautiful glass to drink from, this multi-purpose grey glass is perfect for your favourite wines, boozy beverage, soft drinks or water! 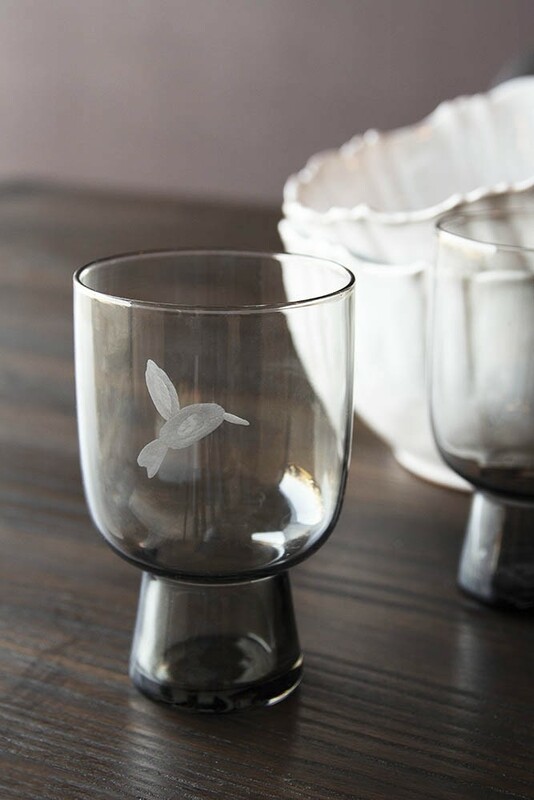 Collect a few and display the Engraved Bird Conical Glass on your open shelving units or glass cabinets in the kitchen. We also think that your friends and family will love this glass too, so why not gift it to them on birthdays, anniversaries, Christmas or just simply because you love them? !